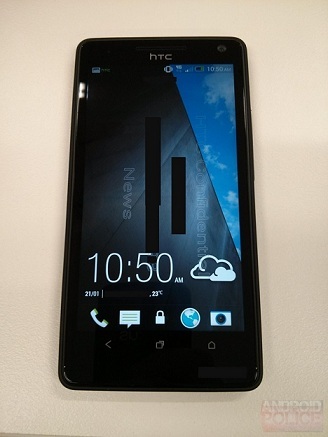 HTC M7 rendered again by EVLeaks, while UserAgent reiterates 'HTC One' name! HTC's upcoming flagship will be vital for the company's success, so whenever there are rumours or suggestions about what it will look like the internet perks up and takes some notice. With that in mind @EVLeaks latest render caught our eyes. We must say that if this render is accurate it is a very good looking device. 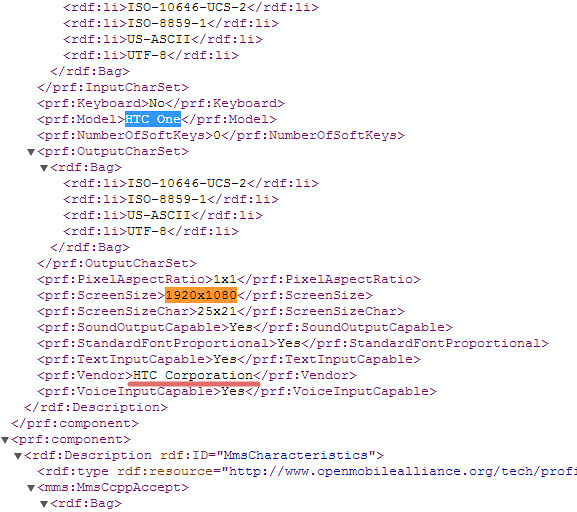 But, at the moment we're not sure who to believe when it comes to this phone because Android Police posted something slightly different up on their site, pictured right. To be totally honest we wouldn't be too upset if either of these landed as the finished device. They are both attractive and slick looking devices even if the second, to the right, does have a bezel which reminds us of the original Samsung Galaxy S.
Both of the devices appear to show that new version of HTC Sense which we're all expected and the render and picture can at least agree on that, even if they disagree on the arrangement of the home buttons. A 4.7-inch 1080p 468ppi SoLux display. A Quad-core 1.7GHz Qualcomm APQ8064 processor. Both LTE and HSPA+ connectivity options. 32GB of internal memory, we're not sure if it will be expandable. 13MP rear and 2MP front-facing cameras. Android 4.1.2 Jelly Bean with Sense 5. 2,300 mAh battery, which would suggest HTC's poor battery capacities will continue! 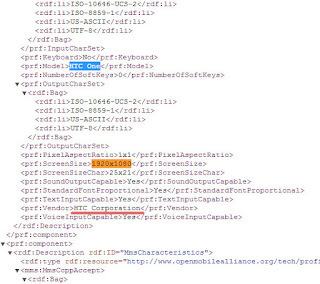 And finally, if you were interested in the naming of the device, then we heard some rumours that the device would simply be called the HTC One. This rumour has seemingly been reinforced by a UserAgent Profile, unfortunately these are often faked so this could just be a case of this again, but we'll have to wait and see! All of the important bits are included in the Profile embedded to the right! With only eight days until the device is officially announced we're sure excited for what HTC will offer us in 2013 and hopefully we'll be pleasantly surprised when the device is officially released! What about you? What do you think it will be called and which one of the pictures do you think it will be? Let us know in the comments below! Android Police and PhoneArena Via DroidDog and Twitter.